It is with humble acceptance of God’s will that we announce the death of Mama Joice Owino Okong’o on Wednesday 27th March, 2019 at the Nightingale Hospital Milimani Kisumu City. 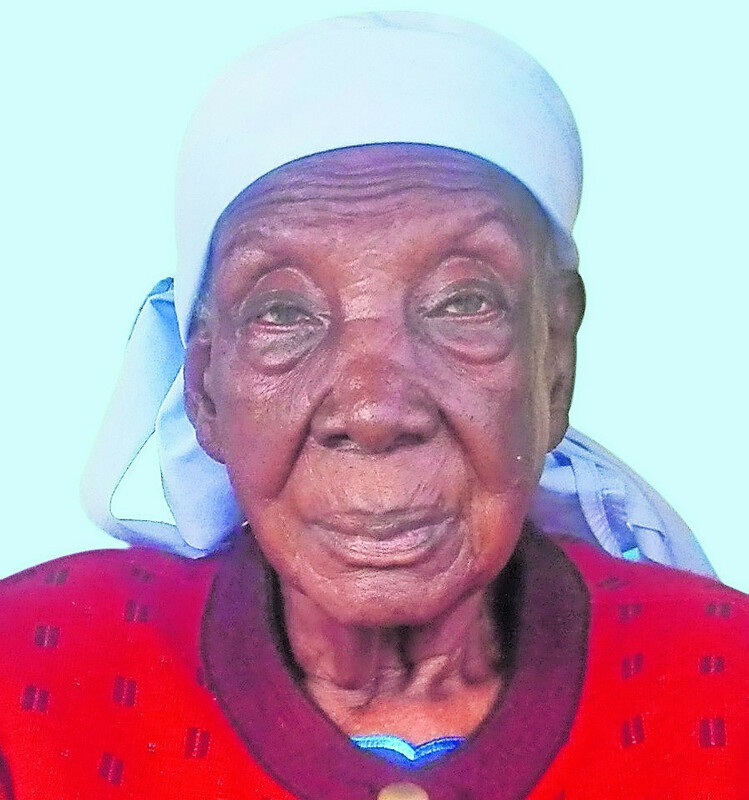 Wife of the late Mzee Abisalom Okongo Otado of Kakrigu Clan of Mfangano Island, Mbita Constituency. Co-wife of Hellen, Jenipher, Doris, Sabina, Pamela and the late Yunes. Daughter of the late Dua Ongoro and Anditi Nyowino of Wanyama Village, Rusinga Island. Sister of Mrs. Angeline Aron, Solomon Oburu and the late Ogola, Lukiyo, Ageke, Agwati and Akeyo. Sister-in-law of Lucia Gor, Elsa Ngai and the late Obuogo Otado, Riako Otado, Omala Otado, Okomo Otado, Skul Otado and Okeyo Otado. Mother of Elder Emmans Otadoh of KPLC, Barrak Otadoh, Nancy Owuor and the late Dorcas, Saline, Herine, Rose, Elisha and Tom. Also, mother of Cllr Suleiman Adagala, Peter Otado, Boaz Okongo, Dorcas Osano and Kennedy among others. Mother-in-law of Jane Otadoh, Elizabeth Barrack and George Owuor among others. She leaves behind 72 grandchildren and 25 great grandchildren. The body is at MED 25 Kirindo mortuary and will be removed on Sunday 14th April, 2019 for a service at Mfangano Central SDA Church and then laid to rest at her Kakrigu Mfangano rural home on Monday 15th April, 2019. A fundraising event towards the funeral and hospital expenses will be held at the All Saints Cathedral Nairobi tomorrow Tuesday 9th April, 2019 at 5.30pm. All are invited to attend and give towards this noble cause. Contributions can also be sent via Paybill No. 868819, Account No – Contributor’s name.